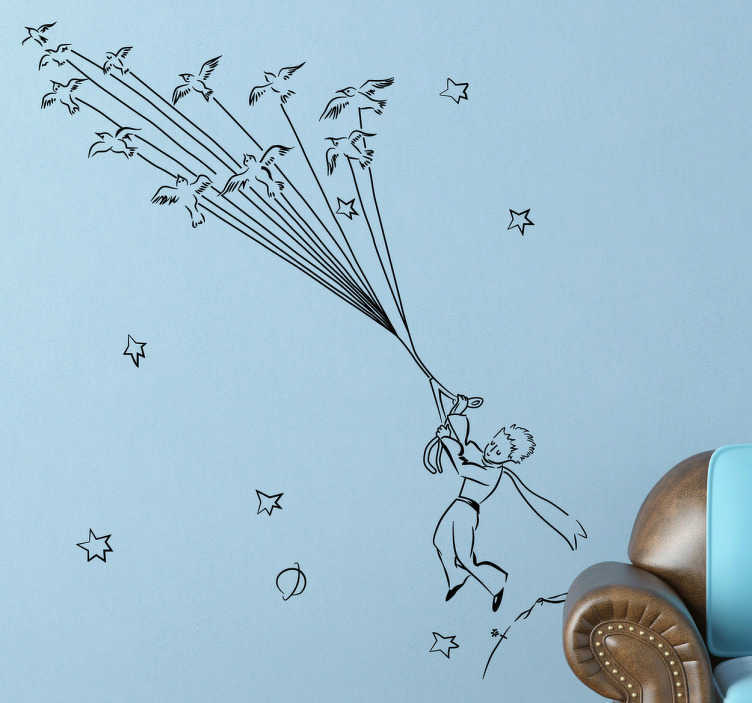 Original Little Prince drawing from the famous novel by Antoine Saint-Exupéry in the form of a wall sticker. This monochrome Little Prince wall sticker is perfect for creating a loving and childlike atmosphere for any kids room, teens room or living room. Relive your favourite childhood storybook with this lovely design of the Little Prince being lifted away from his planet into space by a flock of birds.